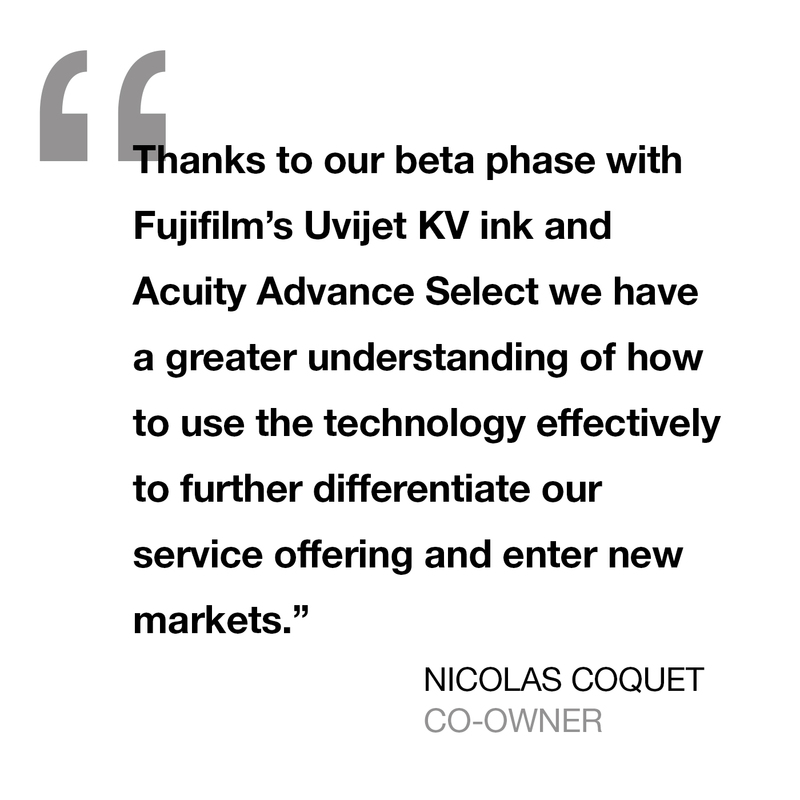 Following a year’s beta testing of Fuijfilm’s thermo forming UV-cured inkjet ink, Uvijet KV, French sign and display printer BMA can now produce personalised light industrial applications with its Acuity Select UV flatbed printer. Based in Amiens, BMA produces a wide range of POP, sign and visual communications products for different industries, including food (Unilever, Nestlé, Coca-Cola, McDonalds) and cosmetics (L’Oréal). The company is able to offer a variety of services, from consultancy, pre-press, printing, finishing and delivery, thanks to both screen and digital technologies – including three Inca Spyder devices. Fujifilm’s thermoforming ink has been designed specifically for use with its renowned mid-range flatbed printers, the Acuity Advance Select and Acuity Advance Select HS. 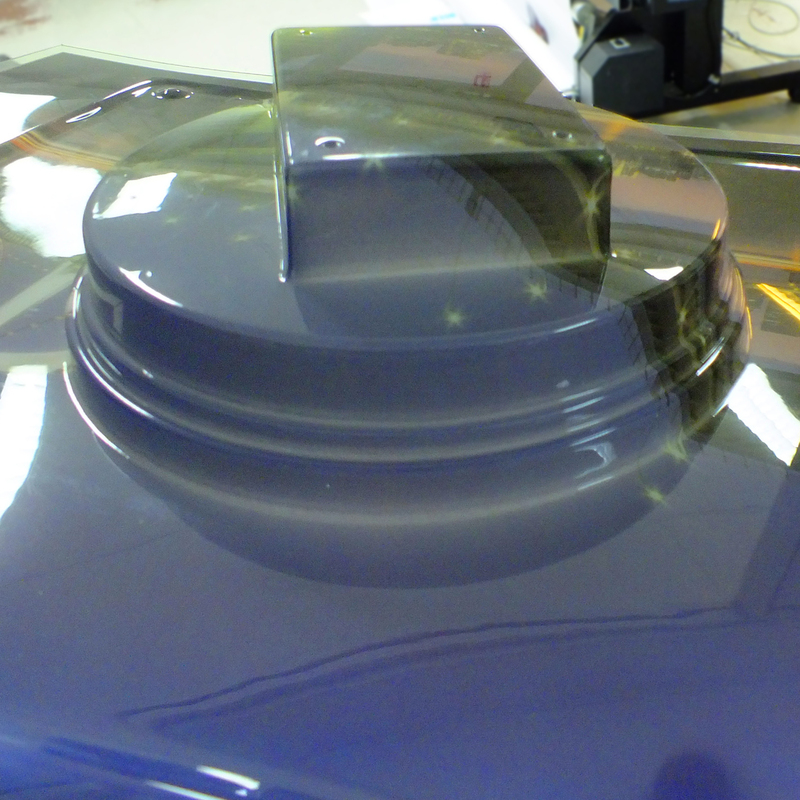 Unlike other UV inks, Uvijet KV does not crack or flake during the thermoforming process. It maintains the high quality, vivid colours and excellent performance expected from a Fujifilm ink, without any compromise to the print speed. The thermoforming process involves a flat plastic sheet being printed and then removed to a mould, where it is heated up to take on the shape of the mould, and then cooled. The ink has outstanding elongation properties of up to 1000% when heated, returning to a ‘normal’ state when cool.